Not as good as previous books in series. Whenever a new Mercy Thompson books comes out, I make sure to clear a day so I can savor the story. 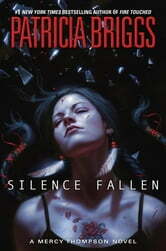 So many series falter a bit by book five, but Patricia Briggs had not disappointed me. Did you see notice I wrote had, and not has, while book 10 is still good, it’s not as great as the previous nine in the series. At first I thought it was just because the story style is a bit different. Normally it’s Mercy telling the story, but this time it was also the Alpha of the pack, Adam. After thinking about it more, I realized I enjoyed Adam’s voice, and didn’t mind at all how the story jumped around a bit, and didn’t have a linear time line. 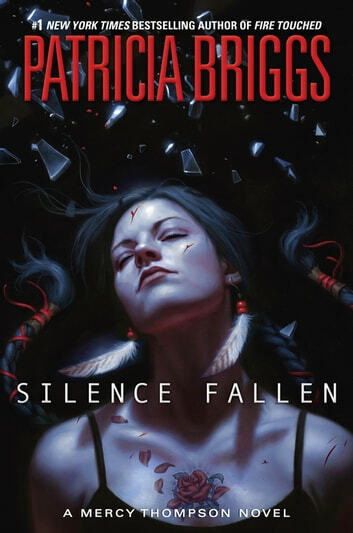 I kept trying to figure out why I wasn’t drawn into this one as much, and I think it’s because Briggs included more history into this story, and not as much action as her previous books. While I do enjoy learning about new places, I guess I’ve just come to expect a lot of action from this series. I give Briggs kudos for trying something different, and while I didn’t enjoy it as much, that doesn’t mean that others won’t. And this will definitely not stop me from picking up the next book in this series. Another excellent book for this addictive series! wonderfully realistic characters. I highly recommend it! Another excellent read in this series. I couldn't put it down. I loved all the old world references and myths. A usual Patricia Brig does not disapont. Looking forward to Mecy's next adventure. Stay tuned everyone.